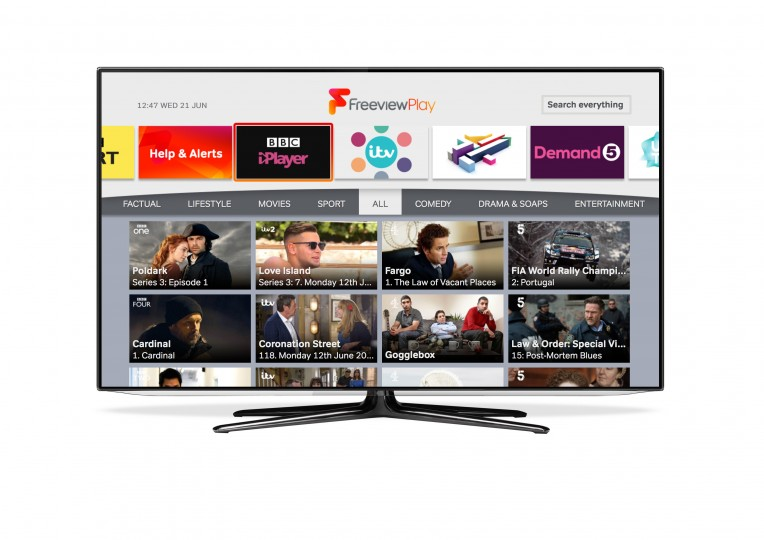 Viewers with Freeview Play compatible devices are to get a new feature that will help them explore more of what Freeview has to offer. The Freeview Explore function, which is rolling out on supported devices this month, will demo core functionality, deliver the latest news on the Freeview channel line-up and provide a showcase of the day’s best on-demand programmes from the UK’s leading broadcasters. With the function, users can search for programmes by genre or programme name. The service features a scrolling carousel of 10 genres - All, Comedy, Drama & Soaps, Entertainment, Factual, Kids, Lifestyle, Movies, Sport, and a dynamic seasonal category such as ‘Christmas’ or ‘Halloween' - with recommendations from Freeview Play’s supported broadcasters displaying in a new image-rich menu. The specially curated content allows viewers to browse recommendations from BBC iPlayer, ITV Hub, All 4, Demand 5 and UKTV Play with more content being added as additional broadcasters join Freeview Play. Viewers can access the new feature via the apps page. In the coming months the Help and Alerts area will deliver instructional videos as well as news and information on platform updates such as retune events and channel changes.